For centuries the contributions of great men and women have determined the course of diseases and saved millions of lives in the process. From historical health care figures to historical figures in epidemiology, from famous health care administrators to outstanding leaders in public health. These men and women are the real heroes of public health. They showed public health leadership qualities and uncommon scientific virtues when it matters most. What is Public Health Leadership? Public health leadership can be defined as the capacity to guide followers or other members of a public health organization. It involves making sound and sometimes difficult decisions devoid of emotions or pecuniary interest for the benefit of the public or the institution. It also involves creating and articulating a clear vision and mission, towards achieving a specific goal. The qualities of a public health leader goes a long way to determine whether he succeeds in advancing the course of public health or fails. Sir Waldemar Mordechai Wolff Haffkine – Was a Russian Empire Jewish bacteriologist, who worked at the Pasteur Institute in Paris France. He is credited with the development of the anti-cholera vaccine that saved the lives of millions of lives in India. He was also the first microbiologist to develop and use vaccines against cholera and bubonic plague victims. 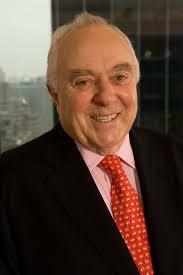 One feature that sets Sir Waldemar Mordechai Wolff Haffkine apart was that he tested the vaccines on himself. Lord Joseph Lister named him “a saviour of humanity”. Jonas Salk– Jonas Salk developed the vaccine that eradicated polio in most parts of the world. (Polio Vaccine). 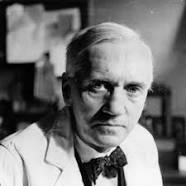 Alexander Fleming – discovered Penicillin in 1928. This saved the lives of millions of soldiers and citizens in the 1940’s when the drug was fully utilized to treat sick and wounded soldiers. Robert S. McNamara– Robert McNamara was a former head of the World Bank. He focused on projects that advanced education, food, and health. He was famous for his passion for one of his most well-known projects- the Maternity and Child Program and the Family Welfare Program. Lee Jong Wook– He was a Director General of the World Health Organization (WHO). While working with the world health body, he worked extensively on the Global Programme for Vaccines and Immunizations and the eradication of Tuberculosis program. Mirta Roses Periago– Dr. Periago was the Director of the Pan American Health Organization, and a famous epidemiologist. 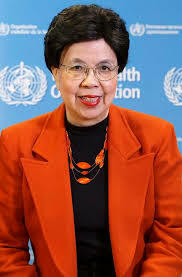 She was a specialist in the fields of public health and tropical medicine and was instrumental to the development of partnerships with health organizations in order to improve health in the countries serviced. 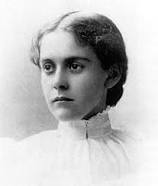 Alice Hamilton – Alice Hamilton is known as the mother of occupational epidemiology. She was a US physician, who worked extensively for a safer workplace. Her elaborate research in industrial medicine and occupational hazards and the entirety of its consequences led to industrial reforms which culminated in health improvements among industrial workers. Sir Edwin Chadwick– A social reformer of the 1800s. Sir Chadwick was widely known for his contribution to the reforms of the poor Laws. 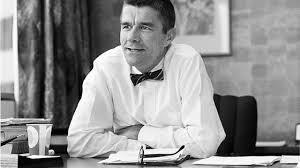 He worked extensively and passionately to improve public health and sanitary conditions. 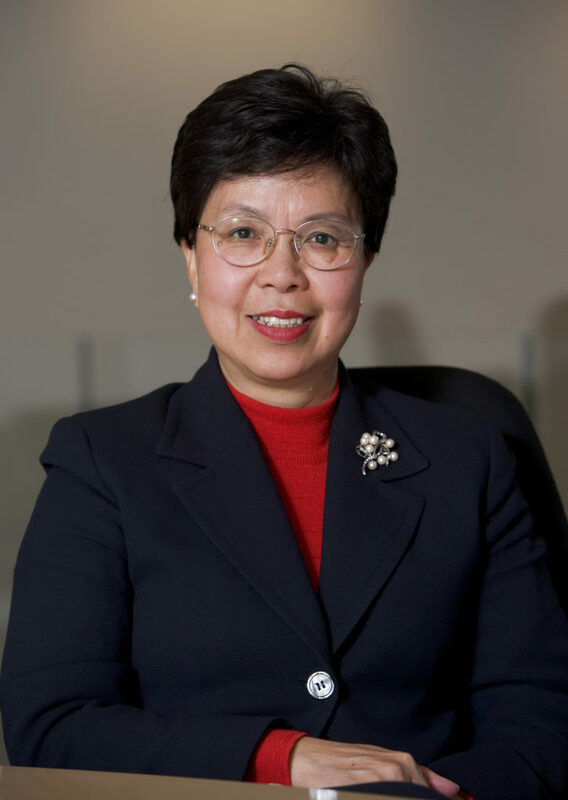 Dr Margaret Chan– Dr. Chan was a Director General of the World Health Organization and a former Public Health Director in Hong Kong during the 1997 H5N1 flu outbreak and 2003 severe acute respiratory syndrome (SARS) outbreaks both of which she successfully handled. The Harvard School of Public Health was renamed H T Chan School of Public Health in her Honour. 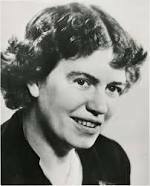 Margaret Mead– Margaret Mead was a famous anthropologist widely known for her work among the deprived people of New Guinea and Samoa. She was a curator of ethnology at the American Museum of Natural History. Ernst L. Wynder – An American emigrant was famous for his research on smoking and was credited with one of the most famous public health undertakings, smoking cessation. His study titled Tobacco Smoking as a Possible Etiologic in Bronchiogenic Carcinoma” was the trigger that led many scientist into tobacco research that uncovered the many ills of smoking. Charles Menninger– Dr. Menninger made laudable contributions to the field of psychiatry. He was the founder of the Menninger Clinic in Topeka, Kansas, which was the first known group practice in the field of psychiatry. John Snow– Dr. Snow is considered by many as the father of epidemiology. He developed a theory about cholera transmission and was famous for his work as an epidemiologist, and for teaching the medical community about anesthesia. Roberto Morales Ojeda– A Minister for Public Health in Cuba. He is credited with transforming the public health system in Cuba. Under his watch, infant mortality rates have improved significantly, and AIDS prevalence in Cuba is currently one-sixth as common as in the United States. Sigmund Freud– The founder of the field of psychoanalysis. 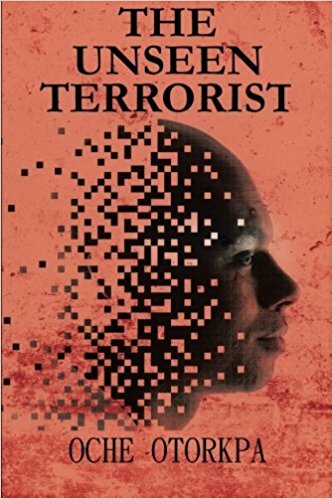 He revered for theories about repression and the unconscious mind. Sara Josephine Baker– Baker was passionate about maternal and child health. Her studies led to the reduction in infant mortality, health education, and hygiene improvement. She taught girls on ways to care for infants in their families so to enable their mothers work. Henry Trendly Dean – was famous for the study on the relationship between fluoride and mottled enamel teeth which found out that fluoride in the drinking water helped prevent dental caries or tooth decay. Edward Jenner– Jenner was the scientist who developed the small pox vaccine. Small pox was eradicated largely in part to Jenner’s work. Charles-Edward A. Winslow– A pioneer in the field of public health who worked to ensure disease prevention, longevity, and health, by controlling infections, and community sanitation. 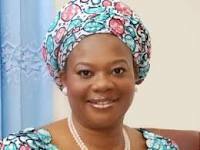 Dora Nkem Akunyili– Dora Nkem Akunyili was the Director General of National Agency for Food and Drug Administration and Control (NAFDAC). She was a pharmacist who gained international recognition and won several awards for her work in pharmacology, public health and for her passionate fight against counterfeit drugs and unsafe food which took the lives of millions in Nigeria. 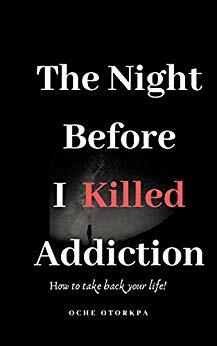 On her assumption of office, she was confronted with a situation where countrymen and women were treating deadly diseases like tuberculosis and malaria with little more than sugar syrup and chalk tablets, malevolently packaged to look like the real drugs. She regulated the production of pharmaceutical products in the country and fought the producers of fake and counterfeited drugs in Nigeria and abroad. She made several enemies in the process and survived several unsuccessful assassination attempts. She, however, succumbed to cancer in 2014. 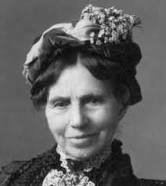 Clara Barton– This woman was a nurse, teacher and a humanitarian who is best known for founding the American Red Cross. Florence Nightingale– The mother of the nursing profession, she became famous for her efforts which significantly reduced the mortality rate of wounded British soldiers during the Crimean War (1853–56). She is also famous for establishing the nursing school at St. Thomas Hospital in London in 1860. Margaret Sanger– Known as the mother of family planning, in 1912, Margaret Sanger began a movement for a safe and healthy conception through family planning. Despite the severe political opposition she experienced, her lobbied cause became one of the most influential public health contributions. Today, modern contraceptive measures such as pills and intrauterine device (IUD) has resulted in a smaller and much healthier family size. Professor Olikoye Ransome –Kuti – Professor Olikoye Ransome –Kuti was a member of the famous Kuti family in Nigeria. He was a Public health pioneer and a distinguished physician. During his tenure as Nigeria’s minister of health, the ministry witnessed several structural and institutional reforms. He announced Nigeria’s first case of AIDS and was not ashamed to declare the cause of his brothers (Fela Anikolapo Kuti) death when he died of the disease. He laid the foundation and structure for the fight against HIV/AIDS in Nigeria. William Haddon – Driving regulations as we know it today was made possible during the era of Dr. William Haddon at the National Highway Traffic Safety Administration (NHTSA). The creation of the driving while intoxicated (DWI) law as well as underage driving law, the seat-belt law, wearing of motor cycle helmet and the child-safety seat all came about during his era. Paul Revere –Paul Revere was appointed as the first ever health officer in the United States under the board of health in 1799 with the mandate to fight a potential cholera outbreak in the Boston area. 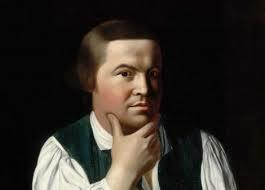 A prominent Boston craftsman, Paul Revere played a crucial role in the American Revolution and was widely known and celebrated for his role as a messenger (“midnight ride”) in the battles of Concord and Lexington. John Maynard Woodworth – John Maynard Woodworth was an American physician . Woodworth was appointed Supervising-Surgeon General of the United States in 1871 by President Ulysses S. Grant. 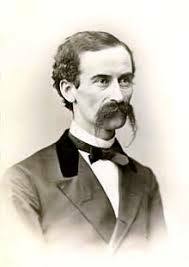 He laid the major foundation for the passage of the National Quarantine Act of 1878 and was instrumental to the fight against many public health challenges including the cholera and yellow fever epidemics. Joseph Goldberger –Joseph Goldberger was an uncommon epidemiologist with the United States Public Health Service. 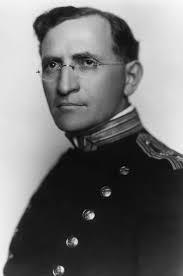 He made known his views on pellagra as a dietary deficiency in 1914, and extensively pushed for the scientific and social recognition of the established links between disease and poverty. 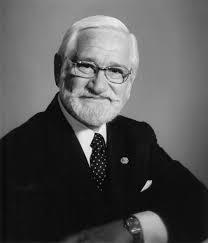 Albert Sabin ­– Albert Sabin was a Polish American and a graduate of the New York University, he started work on the development of a vaccine against the polio virus in 1955. As a medical researcher, Dr. Sabin’s quest was to develop an effective vaccine that will lead to the eradication of poliomyelitis in the world. He was able to discover the mechanism and pathway by which the poliovirus multiplied and attacked and moved to create a vaccine that interfered with the chain of transmission of the virus which effectively halted its proliferation. Sabin also conducted extensive research on the possible links between viruses and some types of cancer and was credited with the research and development of vaccines against encephalitis and dengue. Joseph A. Califano– Joseph A. Califano was the Junior Secretary of the United States Department of Health an institution which later metamorphosed into the US Health and Human Services. In the year 1977, he launched the National Childhood Immunization Initiative across America with a target of achieving a vaccination rate of 90% among all children. This action led to a significant drop in many childhood diseases in America. Think we missed somebody? Drop us a line on who you think should be on this list and why.